Virat Kohli and Anushka Sharma are officially husband and wife now. 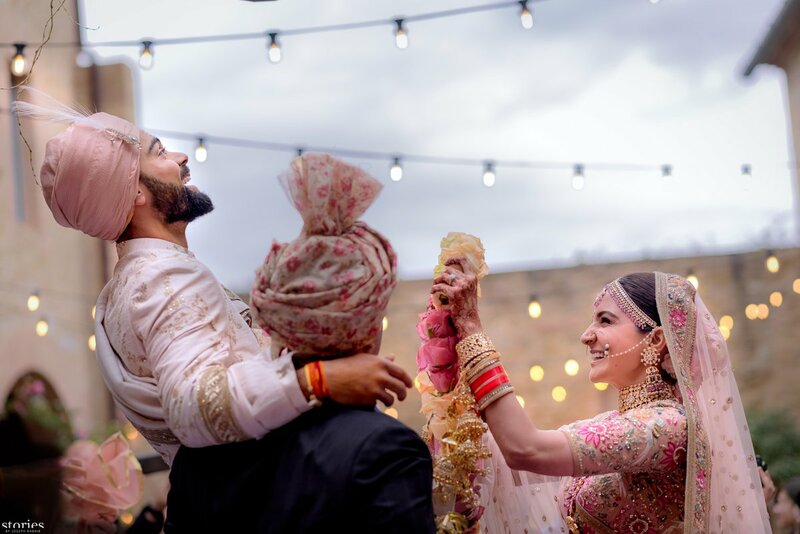 Virushka finally shared their punjabi wedding news. The biggest wedding of the year is done. 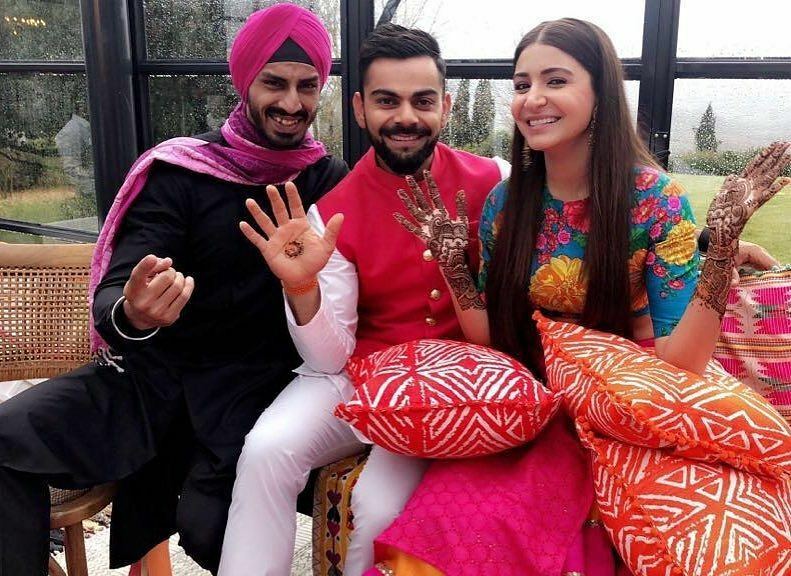 Virat Kohli and Anushka Sharma are officially hitched and they themselves made the news official on their twitter account. 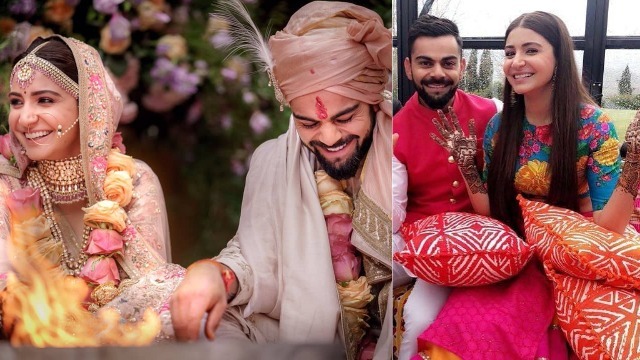 After all the speculations of couple and family flown to Italy along with their family priest, the news of Anushka Sharma and Virat Kohli’s wedding finally comes out to be true. Of course we are so so happy for the lovely couple. But we also know that many hearts were broken and few may have skipped their heartbeat for a while after reading the breaking news of Virat and Anushka’s marriage. 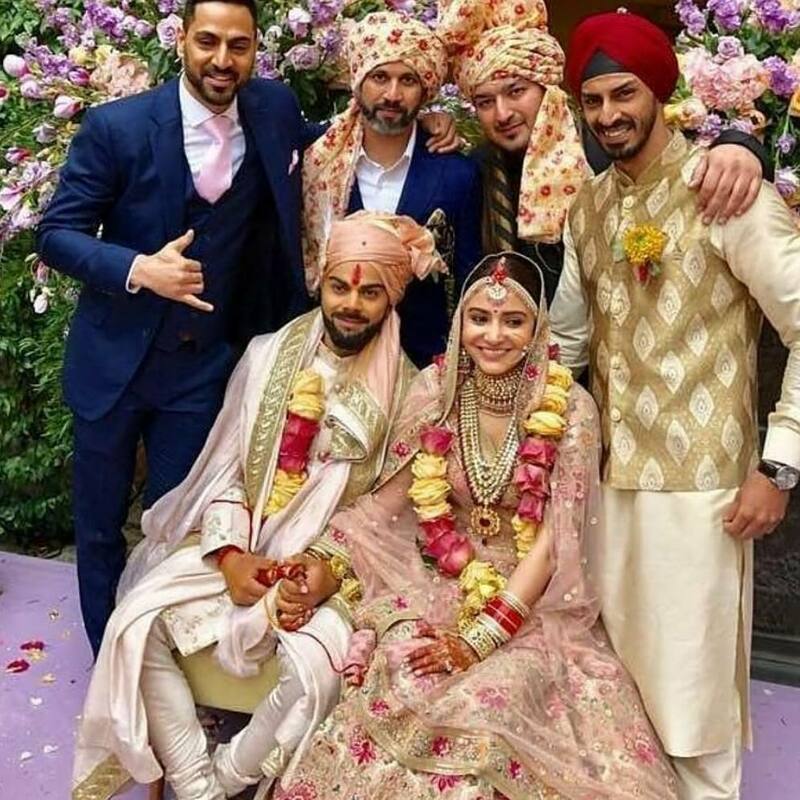 Indian Cricket team captain Virat Kohli and Bollywood actress Anushka Sharma had a punjabi style wedding at Tuscan villa in Italy on Monday, December 11, 2017. The wedding vows were superbly kept away from all the media lens and secret, until couple made an announcement. 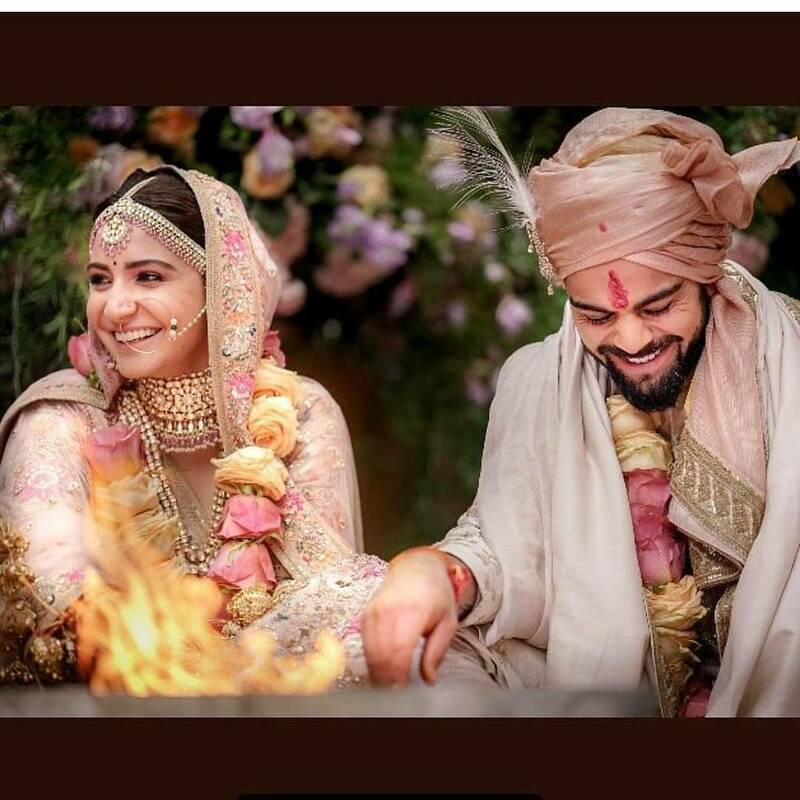 Virat and Anushka shared the first picture from their wedding with their fans on twitter with a beautiful caption. 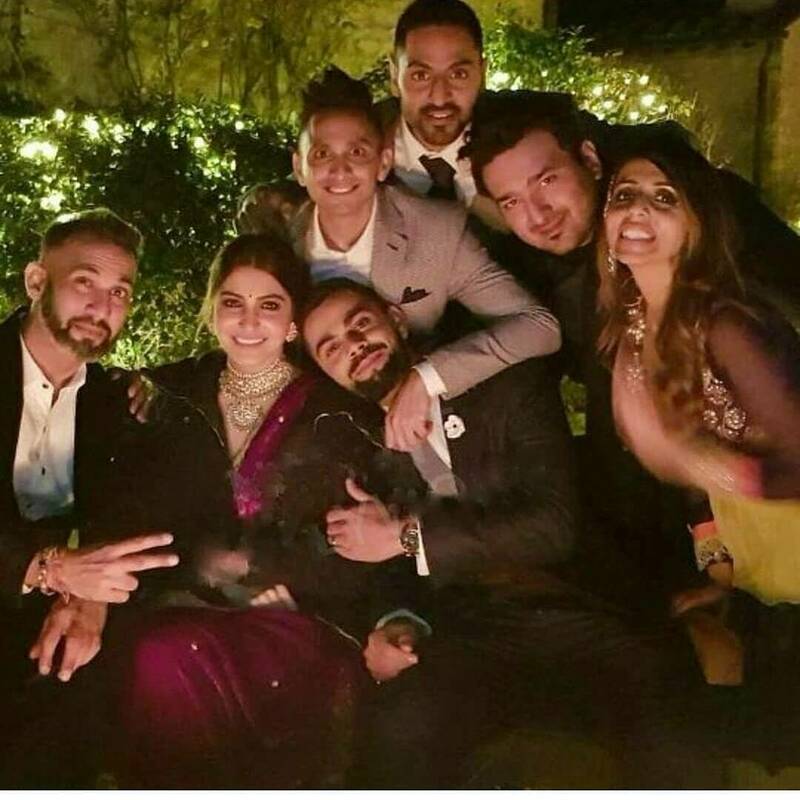 As soon Virat and Anushka made the official announcement about their wedding, more pictures started coming out. Of course relatives and friends of Virat and Anushka were holding this secret for long and once the news went official, they too started sharing the pics on internet. There were speculations that Sabyasachi was seen outside Anushka’s house before the Sharma’s were leaving for Italy. 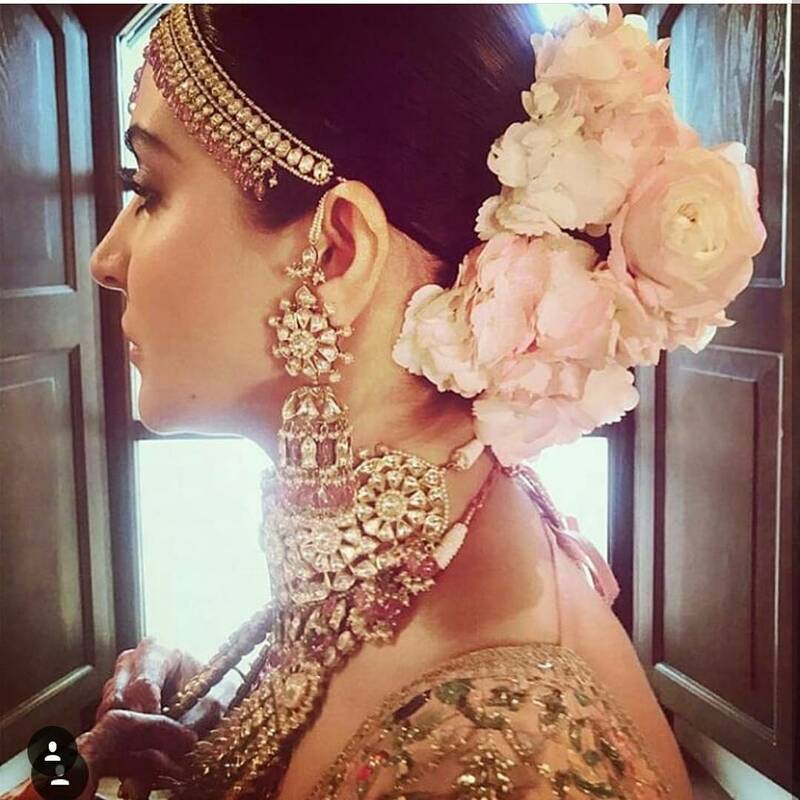 We believe Anushka’s beautiful blush pink lehenga must be from Sabyasachi. 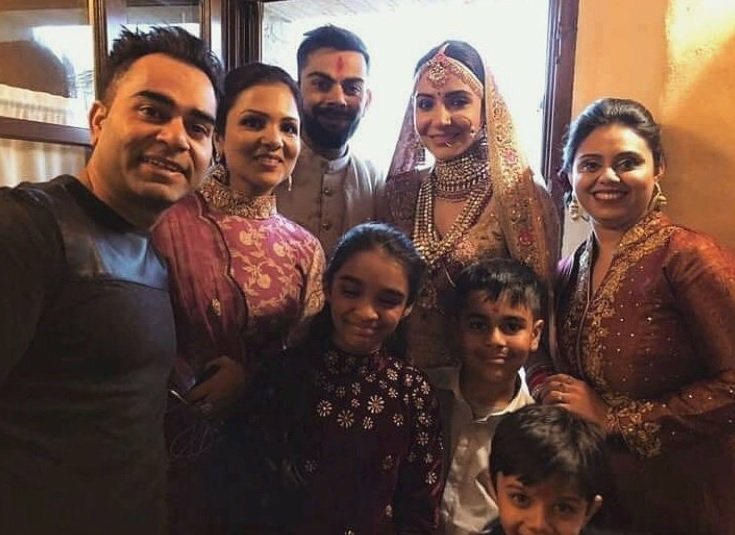 Doesn’t matter, as she looked adorable as a bride and so did Punjabi munda Virat in blush pink saafa matching with Anushka’s outfit. After returning back to India, Virat Kohli and Anushka Sharma will throw a grand wedding reception party for their friends and family in Delhi and Mumbai. Yes, the couple will host two wedding reception parties. One for family and relatives on 21st December in Delhi. Another one for cricketers, Bollywood and other friends on 26th December in Mumbai. The couple’s happiness is so so visible on their faces. Eventznu wishes Virat Kohli and Anushka Sharma loads of happiness and joyous for their new beginnings. Previous : Lisa Haydon’s New Platinum Blonde Makeover Is Sooo Sexier!! Next : Dwayne ‘The Rock’ Johnson Expecting Baby Number 2 With Girl Friend Lauren Hashian!